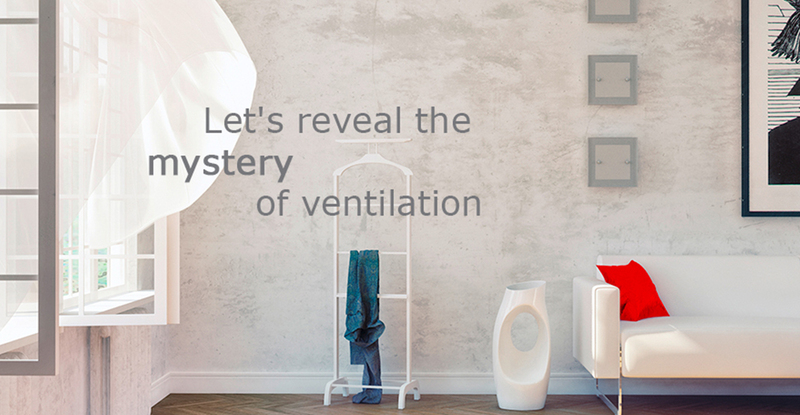 Modern ventilation Technology – more than just a change of air. Our modern ventilation systems are designed for a regulated air exchange without wasting valuable energy. Why is house ventilation so important? These days, modern homes are so airtight that virtually no energy is lost. Low energy houses, in particular, have an airtight building envelope, which is used mainly to prevent heat loss. This also stops any natural air changes and makes mechanical ventilation essential. However, ventilation in Melbourne is still an issue in older homes. Due to the thermal insulation measures that are then put in place, there is often no longer enough outdoor air coming in through gaps in windows and doors, and other previously permeable spots. This creates a conflict of interest between practical thermal insulation and the need for fresh air – which can be resolved with mechanical ventilation systems. The ever-increasing impenetrability of new and recently renovated homes makes a constant change of air necessary, for example, to prevent mold and building damage. However, just using our windows for ventilation is not very practical as the sole means of air flow. For an energy-efficient and hygienic minimum air change, ventilation using windows would need to occur four to six times a day, for at least five minutes each time. Heating would need to be fully turned off and the windows fully opened – which is almost impossible. Controlled home ventilation systems can reliably provide the necessary fresh air, and even provide energy efficient heating and cooling. In the case of decentralised mechanical ventilation, there is a difference between systems with and without heat recovery: in decentralised systems with heat recovery, a single unit is installed in the external wall of each room being ventilated. These systems use two fans a heat recovery via a crossflow heat exchanger. When choosing a decentralised appliance, it's important to look for the lowest possible sound emission, as well as easy cleaning and maintenance options. You should be able to control the individual fans so that the air flow rate can be matched to the demand. We believe a decentralised home ventilation solutions is the ideal choice, particularly for renovations or areas with moisture issues, and the installation work needed is usually minimal. Individual units work independently of one another to remove air from rooms which can be over-exposed to humidity, such as bathrooms and kitchens. By using two units, you can ensure good airflow throughout your living areas. 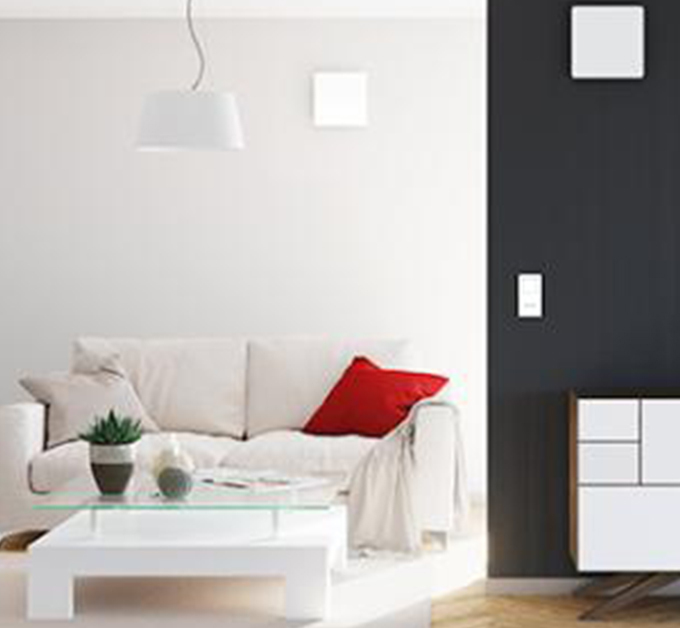 Separate sensors control the appliances depending on the humidity level in each room. With central ventilation systems, there is a difference between extract air systems and supply/extract air systems. The simplest and most cost-effective system for central mechanical ventilation is an extract air system. Stale air is removed via ducts from areas such as the kitchen, bathroom and toilet. This causes negative pressure, which allows fresh air to be drawn through outlets outside, directly into areas such as the living room, playroom and bedrooms. The amount of air extracted is determined by the fan capacity. You're able to match you're the air flow rate to meet your needs with a simple switch. 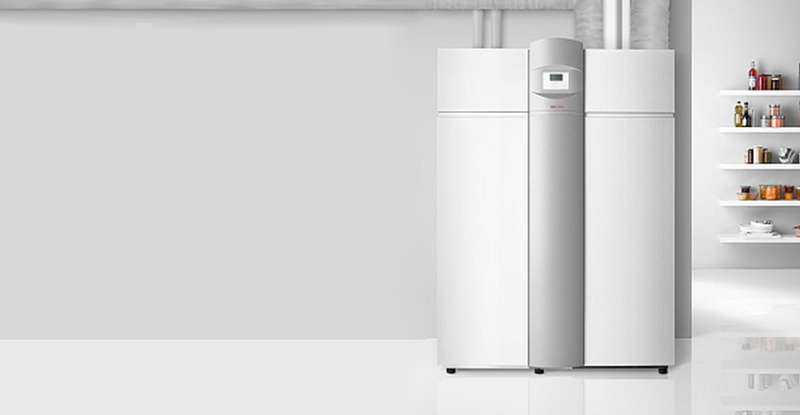 With a small heat pump, the extracted air can be used for heating hot water and central heating. Using this air at high temperatures as a heat source is incredibly efficient. These ventilation ducts can be installed in walls, concrete or suspended ceilings, floor – or even in the open. This makes it a great option for renovations as well as new builds. The biggest advantage is the uniformed fresh air quality that is delivered across the entire building. The recovered energy can then be used to heat the air supply. Unlike an extract air system, a supply/extract system draws the outdoor air from a central point before distributing via ducts to the supply air areas (living, loungerooms, bedrooms etc). Heat is recovered by a crossflow heat exchanger, which transfers up to 90% of the unused heat in the extract air into the supply air. The outdoor air is filtered to prevent any contamination of the ducts and system itself, and to protect allergy sufferers from dust and pollen. These systems ensure an excellent level of comfort across your whole home. 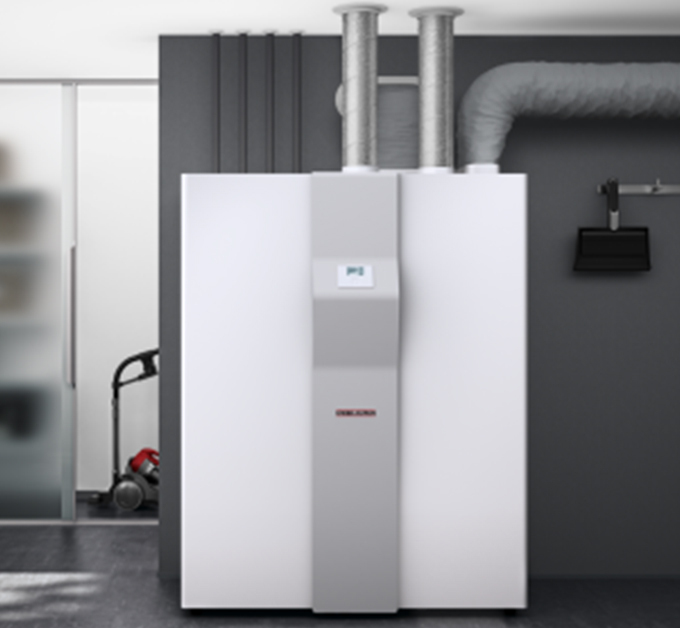 LWZ 170 E PLUS is ideal for low energy buildings and passive homes. We're proud to offer our state-of-the-art ventilation systems to Melbourne, Sydney, Canberra, Brisbane, Darwin, Perth, Adelaide, and Hobart. We offer home ventilation systems across New Zealand.